Some may think a home automation system is expensive and only achievable for those with big budgets. But with new innovations in technology, that just isn’t so anymore. When Louisiana builder Blair Construction planned to showcase a newly built beautiful, award-winning hunting lodge, but didn’t have thousands of dollars to for the electronics and home automation system, they turned to Leviton Security & Automation solutions. Faced with this demanding task, the custom electronics professionals at Advanced Technologies in Baton Rouge were chosen to install a moderately-priced home automation system that outperforms higher-priced alternatives. 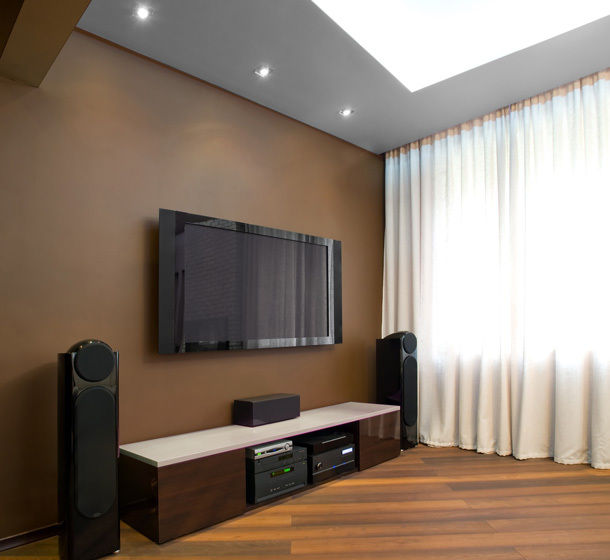 Advanced Technologies turned to Leviton security and automation systems for its impressive features like feeding audio to surround sound systems and sensor that activate lights and other devices. Installers integrated the lodge’s security system with its impressive custom home theater. Audience members can use the big screen to view the outdoor area. A “Deer Cam” was installed on the property so images up to 500 feet into the woods can be shown on the home theater screen. If anyone steps on to the property, their presence is announced via the home theater speakers and broadcast throughout the house. This hunting lodge is just one of the examples showcasing Leviton scalable options for automated home control. 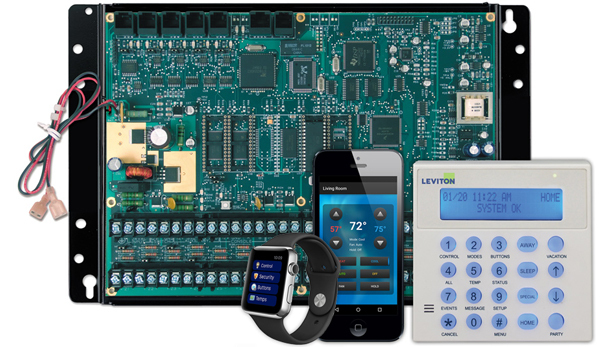 No matter what the size, scope and budget of your home automation project, Leviton has a solution to fit your needs. The Leviton Omni automation system operates as the brain of your home automation system coordinating security, energy and entertainment. The award-winning OmniPro II boasts the largest feature set and control the maximum number of devices. Designed to provide security and automation for large residences and small commercial businesses as well as connecting to third party control devices to control telecom, irrigation and window coverings. It also connects to non-Leviton distributed audio. Using a smart device, tablet, PC or laptop you can remotely control the OmniPro II and close window blinds, turn OFF lights and shut off AV equipment.